Industry 4.0 – you’ve heard the term, you’ve heard the buzz surrounding it, but what is it, really? The term itself is shorthand for “Fourth Industrial Revolution,” the latest wave of a series of advances in technological innovation that have transformed manufacturing industries over the last 250 years. For manufacturing companies Industry 4.0 means improved efficiency and flexibility – even the advent of previously unattainable capabilities. The ability to economically produce small-batch “one-off” production runs without regard to the economies of scale is just one of the benefits that will accrue from the new order. Starting around the year 1760, the First Industrial Revolution began human society’s transformation from a muscle-powered, largely agrarian way of life to the highly mechanized world we currently live in. Then, it was water and steam power replacing human and animal power which enabled the mechanization which began the transformation. The second wave was electrical power, then came computers – and now it’s the industrial realization of a potent combination of data gathering, data interpretation, data manipulation, inter-machine communication, and revolutionary new manufacturing methods. In an era where interdisciplinary teams are becoming more and more important to the integrated design and manufacturing model, Industry 4.0 holds the promise of the ultimate in teamwork across functional boundaries between design, procurement, manufacturing, and post-sale service. There is confusion in some people’s minds between Industry 4.0 and IIoT. Just as the internet and the World Wide Web refer to the interconnectivity of millions of computer nodes all around the world, the Industrial Internet of Things, as it relates to Industry 4.0, refers to the localized, or at least enterprise-limited, interconnectivity of industrial machinery and systems (as opposed to the non-industrial IoT’s consumer items such as wearable fitness monitors, home climate and security controls, or small appliances.) 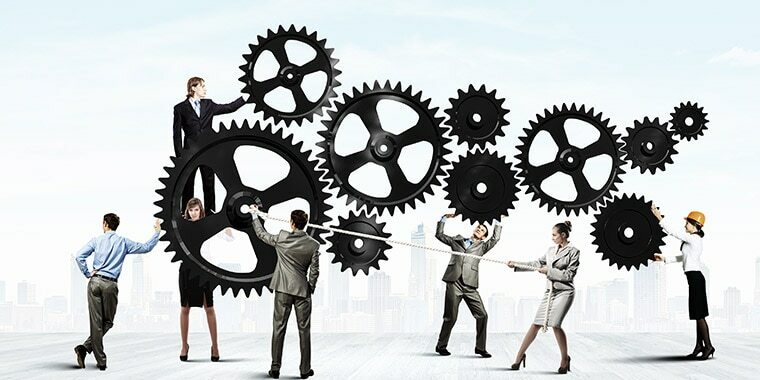 Embedded computing capability will allow inter-machine communication in addition to the more conventional connectivity to centralized controllers, incorporating decentralized analytics and decision making to expedite real-time responses to changing needs or conditions in the manufacturing environment. 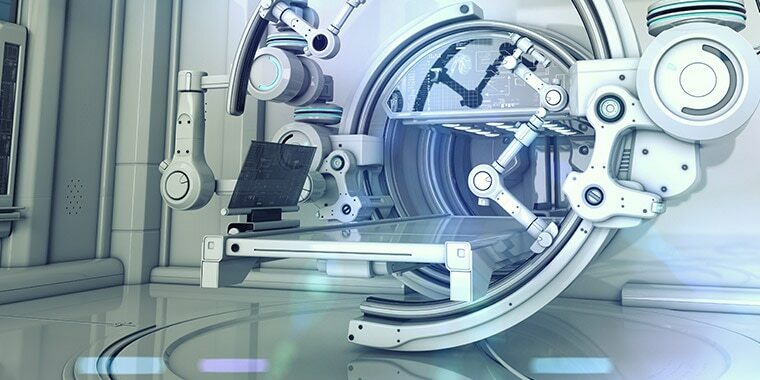 Imagine communication-enabled, interconnected machines that monitor their own condition and operability, and can schedule needed maintenance operations. Based on this capability, workload can be automatically shifted away from a machine in downtime to other machines or facilities, eliminating, or at least minimizing, machine down time and production interruptions. Connectivity to, and communication with, the larger industrial infrastructure via the IIoT carries advantages also. Notification or sensing of a reduction in electrical power delivery capability could allow the off-lining of non-essential devices, reducing electrical power demand and reducing the danger of brownouts or blackouts while minimizing the interruption of vital operations. This capability would extend to other supplied services, such as water, or natural gas and other fuels. The other “pillars” of Industry 4.0 bring their own unique benefits to the table. Expanded and improved access to information through big data, analytics, and cloud capabilities will improve the usefulness of the information that is gathered by IIoT-enabled devices by enabling broader use of the available data. Increased simulation capabilities, using data gathered in real time, will improve product and scenario modeling, allowing predictive performance testing and increased design optimization capability without the need to fabricate test items and subject them to real-world testing. Enhanced communications and cloud access will enable more comprehensive vertical and horizontal system integration. Communication and vertical integration within a company, from engineering, to the shop floor, to sales, will be expanded and enhanced, as will horizontal integration, reaching out in both directions, to suppliers as well as customers. Direct nuts-and-bolts manufacturing capabilities will be improved by the use of autonomous robots and the latest additive manufacturing techniques, also known as 3D printing. Multiple-capability robots bring flexibility and cooperative “behavior” to manufacturing, and have the ability to learn from each other and work safely alongside humans. Additive manufacturing brings the ability to go directly from computer-derived models to not only test items, but end products. With capabilities which now range far beyond the early lab-based prototype-making 3D printers, the current generation of additive manufacturingsystems are capable of fabricating structures that are larger than themselves, and can create shapes that are more complex than is easily achievable with legacy manufacturing methods. Of course, with so much information being passed back and forth, much of it proprietary, security is a concern. Cyber-security is the ninth pillar that helps protect the other eight, and will be a larger and increasingly important aspect of the new world order of Industry 4.0. The inter-related, inter-connected, learning-capable manufacturing world of Industry 4.0 has the capability to bring unparalleled levels of efficiency, in every sense of the concept, to 21st century manufacturing. So, why is this important to the leadership of today’s manufacturing companies? The bottom line can be summed up in that single word—efficiency. Design engineers are known to worship at the altar of the Great God h, or eta – the symbol which is used to designate efficiency. Efficient static structures attain maximum strength for minimal weight and use the least amount of material; efficient electrical devices consume less power to perform their functions; and efficient mechanical devices that move are lighter in weight, so they consume less power and impose less strain on their own structures – a double-shot of operational efficiency. In terms of the direct benefits of efficient engineered designs, increased efficiency delivers reduced costs in terms of materials and energy consumed. Since materials and energy cost money, engineering efficiency translates directly to the business side of the equation, increasing cost efficiency. Energy efficiency in manufacturing, operation, and delivery of goods is increasingly important in today’s world as the realization that energy is only becoming more scarce and more expensive. The capabilities that Industry 4.0’s integration of communication and data management brings to manufacturing builds efficiency into the manufacturing processes and all of the activities that support them, leveraging the engineering design-efficiency concept into the larger manufacturing picture. Gary McCormick, Senior Design Engineer, is a mechanical engineer with 35 years of experience in mechanical design, production, and testing with a major American manufacturing company.